According to a source close to the festival, the previously rumored Chain of Strength will indeed headline two of the four nights of the Revelation Records East Coast four-day celebration. The band will appear at both the October 12th and 13th shows, though still no word on additional bands slated for the gala. We do know that Quicksand isn’t one of them though (at the moment anyway). Ticketing info is still forthcoming. 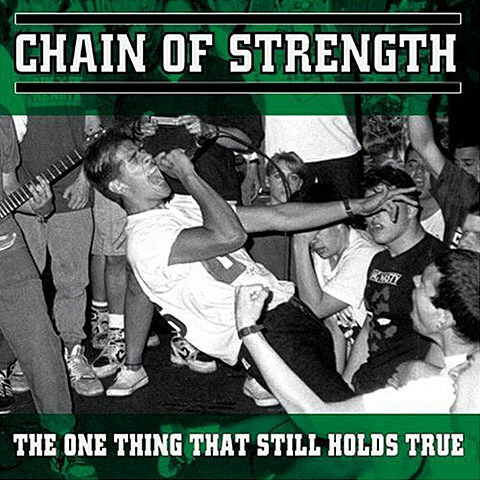 Chain of Strength split 21 years ago, leaving a lasting impression with their True Till Death 7″ and The One Thing That Still Holds True full length, both of which hit via Revelation Records. The LP’s catalog number was REV-010, could that (and a straight edge reference) be the significance of the “X” in the flyer? Check out some video of Chain of Strength in the 90s below, alongside a video of Mouthpiece covering the band’s “True Til Death” in Pomona for Revelation Records West Coast Anniversary show….